A contribution to this week’s Photo Challenge, Half-Light. 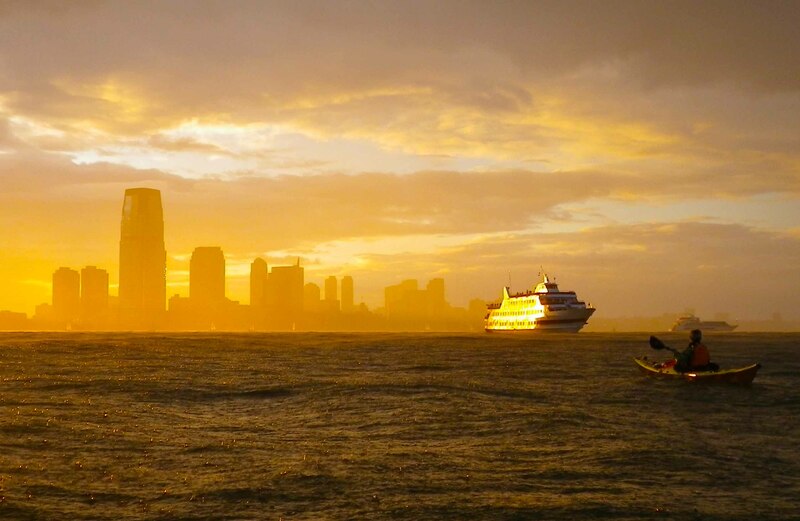 This entry was posted in Kayaking, New York City, Photography and tagged Ezra Pound, Half-Light, Kayaking, New York City, New York Harbor, Photography, postaweek, postaweek2016, Storm, Weekly Photo Challenge. Bookmark the permalink. Wow! Those photos are stunning. I like the first one in particular. What glorious light, Vlad! A happy Easter to you. I love water, esp this. A perfect quote to go with those gorgeous images! 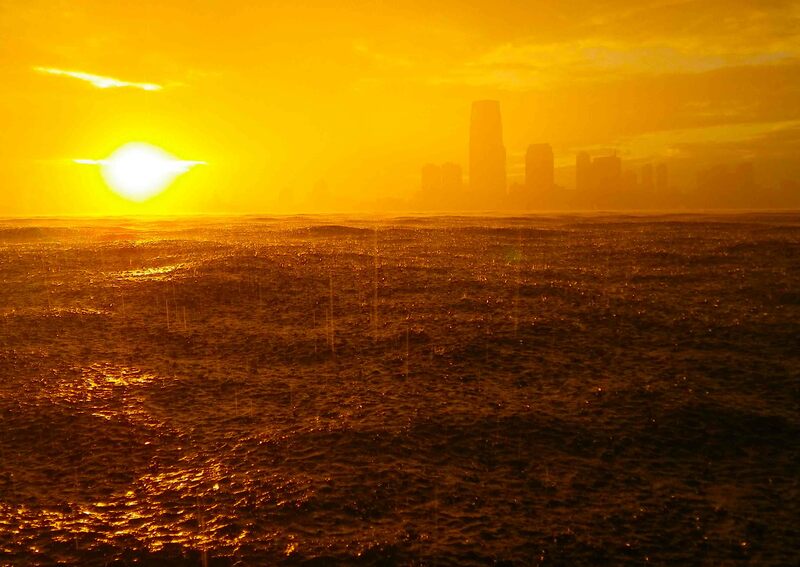 Vladimir, these divine images make me long for a ride on the Circle Line taking in the golden hue of half light on New York Harbor. Wow! Almost let this slip by — an Ez poem too, unfamiliar to boot. 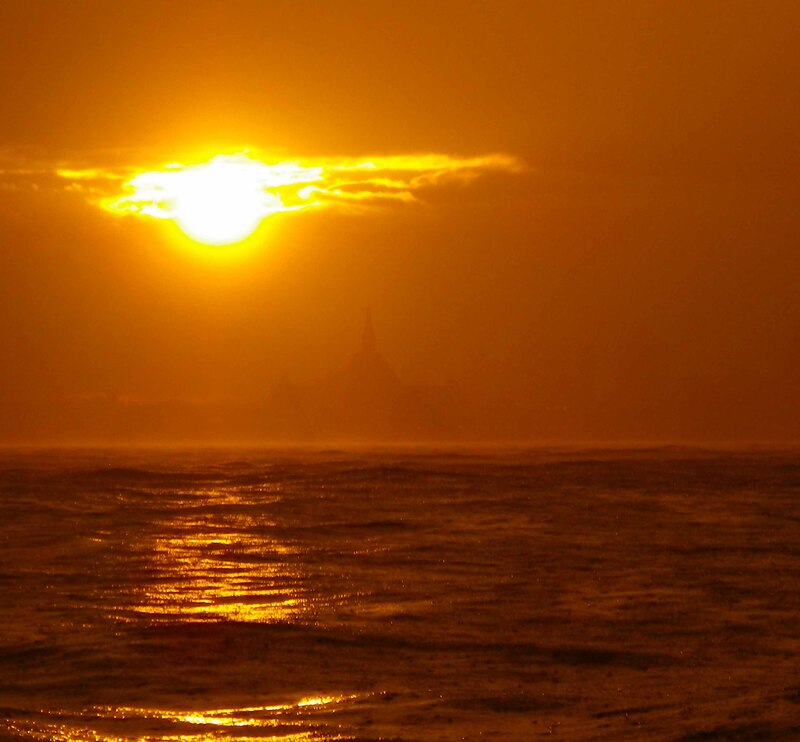 Fabulous golden seascapes, third’s my favorite, seeing Mont Saint-Michel in silhouette. How far did you paddle? These photos are actually repurposed from a 2012 paddle, from Manhattan to Coney Island and back, so about 20 miles or so. The full set of photos is here. It’s in Personae, so I must have read it long ago, but it doesn’t resonate. Last March Johna quoted Crossing Brooklyn Ferry, sorry for not expressing gratitude, loved rereading it, came back immediately, bridging 45 years or so in a wink, felt as fresh as spring despite the ice. Did I make a pact with Walt last century? Must contemplate this later today in Stockport Flats where nature is way ahead of schedule, wildlife very active. No ice this year, but not much water either. Levels are extremely low, beaching a constant low tide threat in the flats & marshes. Thanks for the many delights. Walt was a very urban poet, and much of his Brooklyn and Manhattan is still here… You’ll have to come down sometime and visit!